Take a scanned image and with this tool you can extract all the information from the image into easily editable text format. Optical character recognition (OCR) is a system of converting scanned printed/handwritten image files into its machine readable text format. 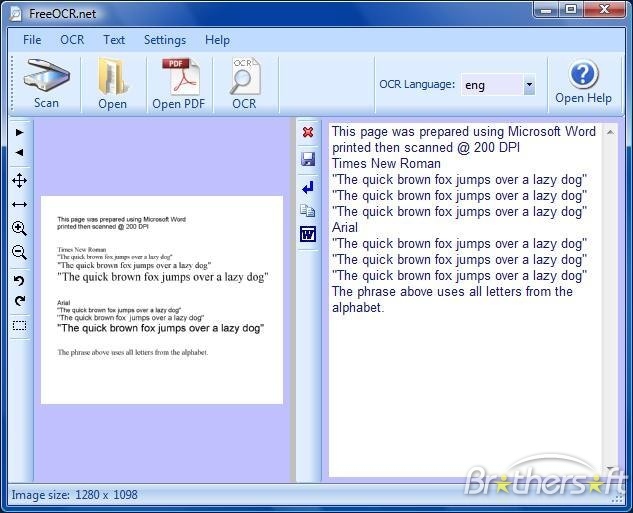 Free OCR is a complete scan and OCR program. It is very simple to use and supports multi-page tiff's, fax documents as well as most image types including compressed Tiff's. It has Twain scanning included and support for multipage Tiff documents. Best of all it is totally free!